Contrary to what you might believe, looking seriously stylish doesn't require that much effort. Just choose a mustard blazer and black jeans and you'll look incredibly stylish. Complement your look with tobacco leather casual boots. 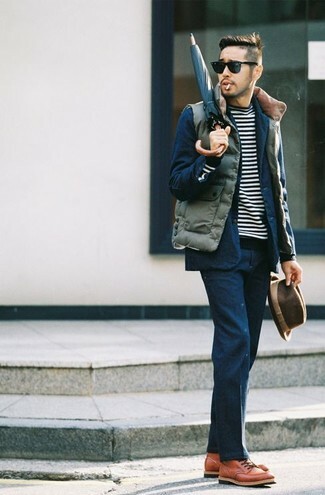 For a nothing less than incredibly stylish ensemble, dress in a navy quilted bomber jacket and grey wool dress pants. OluKai nalukai boot from Nordstrom will deliver a more relaxed feel to your ensemble. For a nothing less than incredibly stylish ensemble, consider pairing an olive quilted gilet with a navy suit. 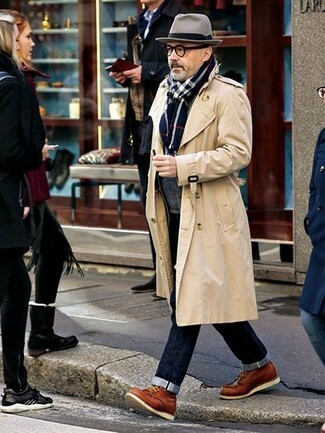 For something more on the daring side to finish off this ensemble, go for a pair of tobacco leather casual boots. For a casually elegant getup, opt for a navy trenchcoat and navy jeans — these pieces play really savvy together. When it comes to shoes, this outfit is complemented nicely with OluKai nalukai boot from Nordstrom. Make a dark brown leather barn jacket and grey wool dress pants your outfit choice for a classic and refined silhouette. 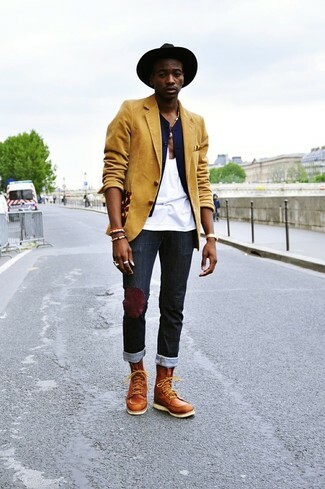 For something more on the daring side to complement this look, throw in a pair of tobacco leather casual boots. 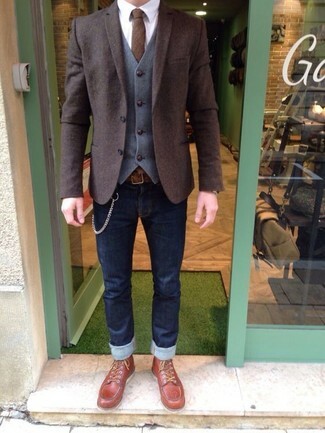 If you're scouting for a casual yet sharp outfit, pair a dark brown wool blazer with navy skinny jeans. Both items are totally comfortable and will look great paired together. 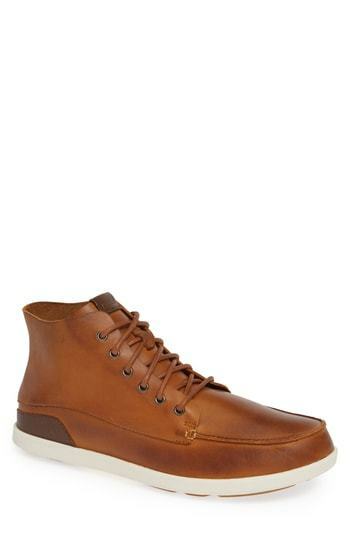 Amp up the cool of your look by finishing off with OluKai nalukai boot from Nordstrom. 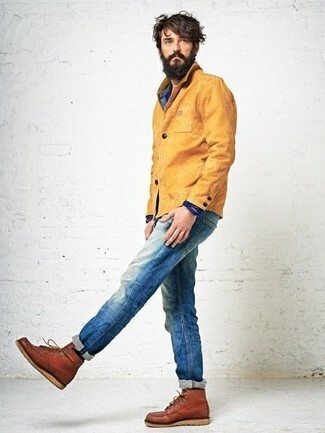 If you're on the hunt for a casual yet sharp look, rock a mustard barn jacket with blue jeans. Both garments are totally comfortable and will look great together. 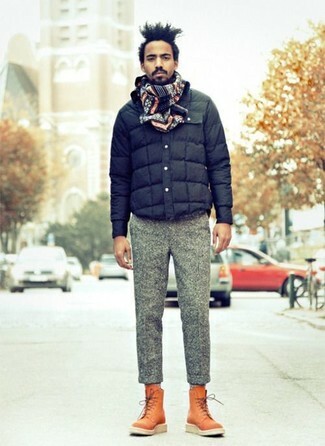 A pair of OluKai nalukai boot from Nordstrom will add some real flair to this look. For a smart casual ensemble, dress in a beige trenchcoat and navy jeans — these two pieces the office really smart together. When it comes to shoes, this outfit is complemented wonderfully with OluKai nalukai boot from Nordstrom. 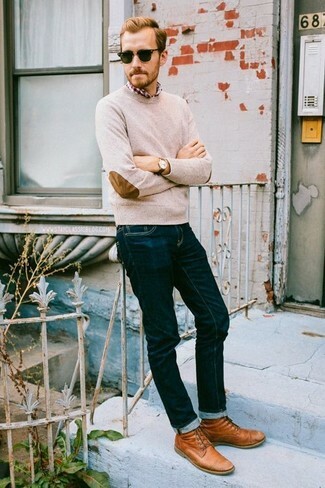 If you're looking for a casual yet stylish ensemble, reach for a beige crew-neck sweater and navy jeans. Both garments are totally comfortable and will look great together. Wearing a pair of OluKai nalukai boot is a simple way to add extra flair to your look.